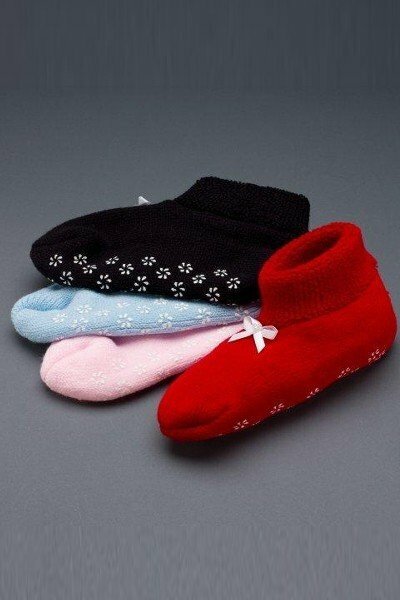 Keep your feet and ankles warm with this luxurious cuffed sock. Acrylic fiber with skid-resistant sole. Machine washable. Assorted solid colors. One Size.